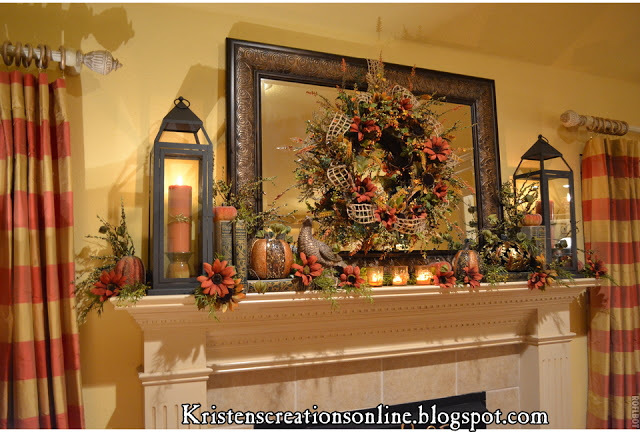 I love fun holiday mantels, but I know not everyone has time to change out their theme every few weeks. 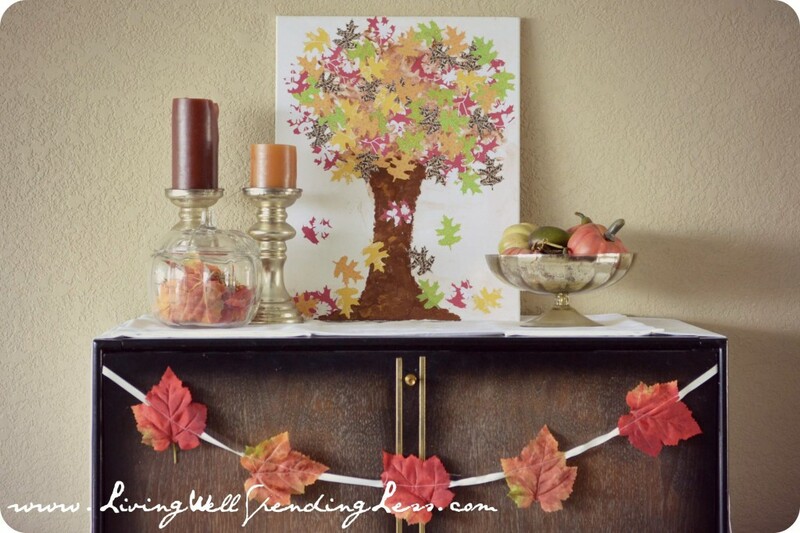 In the early fall, you can put up an autumn inspired mantelscape and it can last all the way until Christmas as long as you don't focus on a Thanksgiving or Halloween theme. 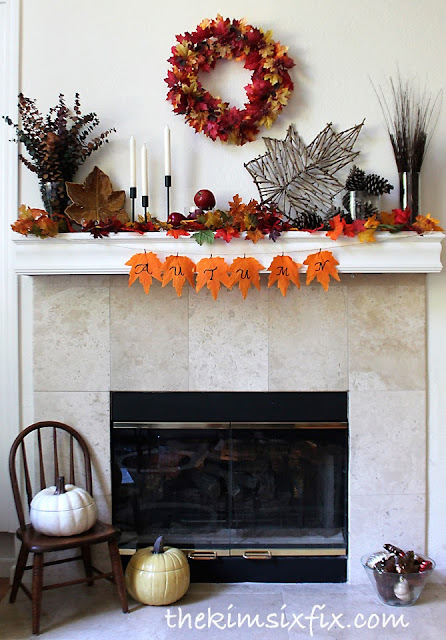 So today I have 20 gorgeous mantel ideas that are GENERIC fall, and NOT a more specific holiday. No turkeys, no spiderwebs no "Give Thanks" wording. 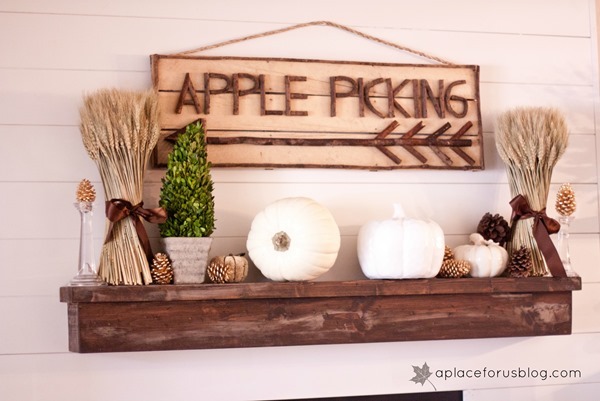 Just leaves and pumpkins and all around prettiness. 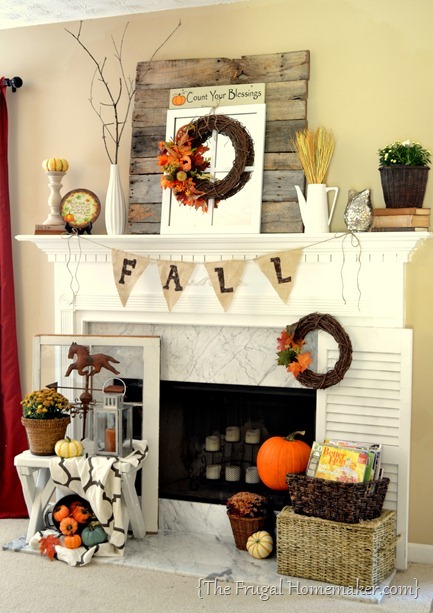 Of course, no roundup of mantels can NOT include Sweet Something Designs. 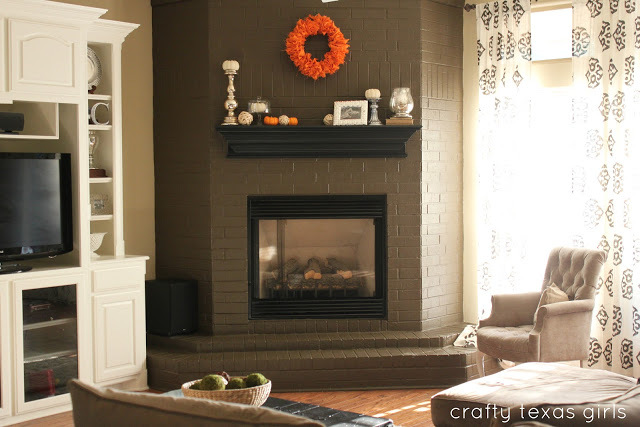 Her design taste was so beautiful, I miss seeing her new mantels every year. Who says fall means oranges and browns? This beautiful version from TheDowntownAly is white and bright. 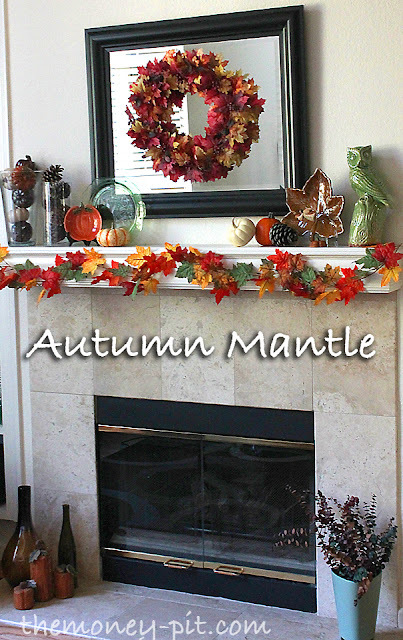 Love beautiful mantels? Check out these posts. Dining Delight has a much more traditional approach that is still beautiful. 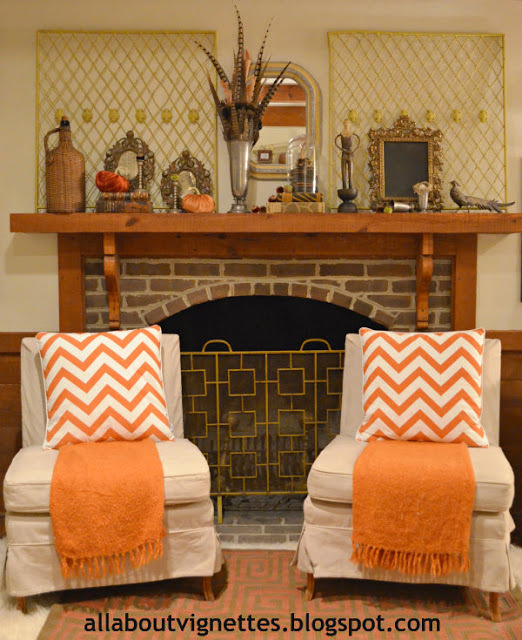 If you are a mantel junkie, you have probably seen this one from Serendipity Refined. Kimberly's hand painted sign is a show stopper.. 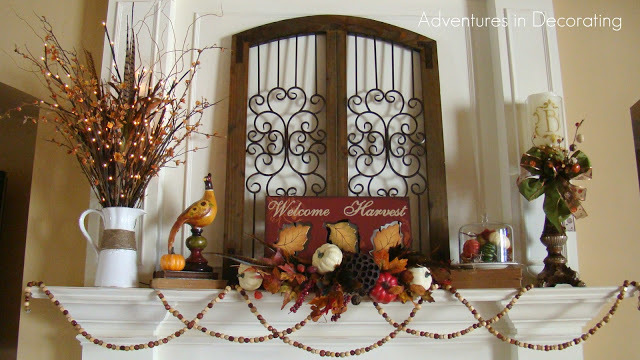 In fact, her design inspired my pallet artwork I have used in some of my other mantels. I still love it SO MUCH. 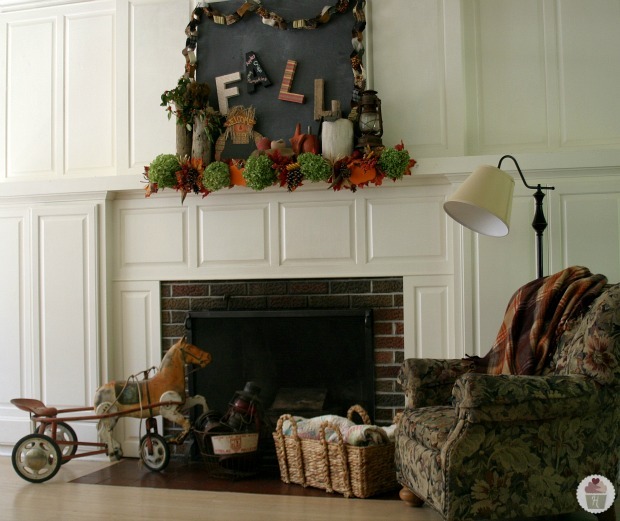 The Frugal Homemaker also has great mantels every.single.year. I really like this design from a couple years ago. 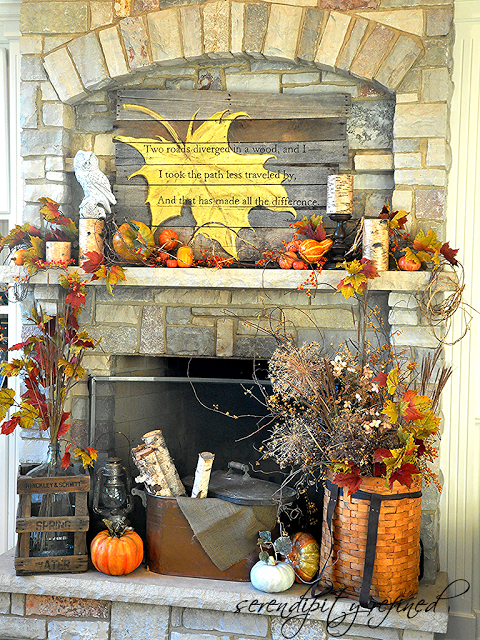 Here is my autumn mantel in 2012. It is always funny to look back and see how much my style has slowly evolved from a few years ago. 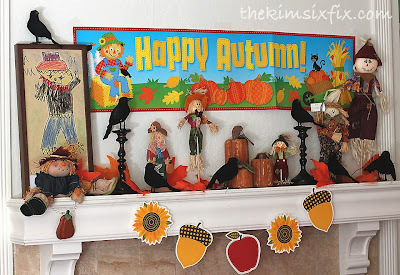 Hoosier Homemade's vintage toys, chalkboard, decoupaged letters and darling garland are super whimsical! So much variety and so many wonderful ideas! 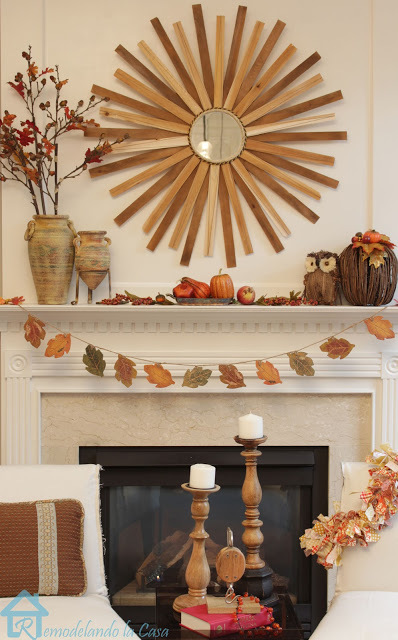 Want more mantel inspiration, visit my MARVELOUS MANTELS Pinterest board for thousands of more ideas.